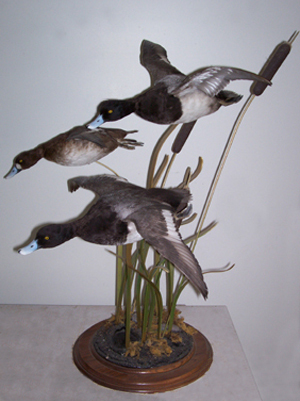 Their love of hunting, fishing and the great outdoors, led the father and son duo, known as Jim & Son's Taxidermy (Jim & Joel Krichbaum) to the art of taxidermy. 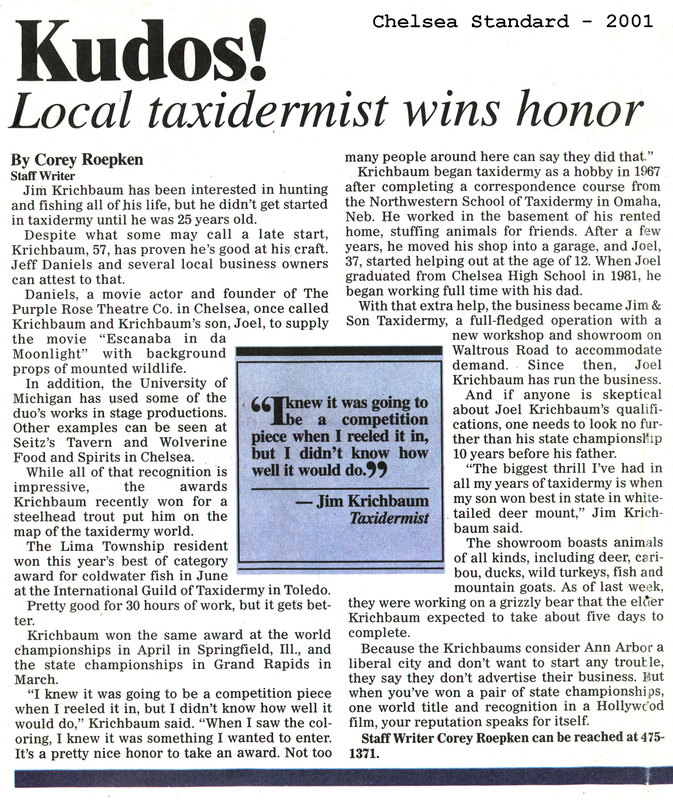 After admiring his fathers work, son Joel Krichbaum, started creating taxidermy art at the age of 12, going full-time in 1981, continuing through today. Joel learned many techniques by observing his father. 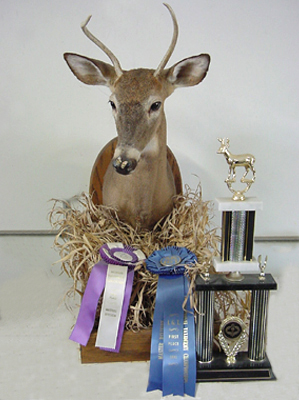 In 1988, he continued to perfect his craft by studying with world champion whitetail taxidermist, Joe Meder of Iowa. Joel's specialty is game heads, primarily whitetail, mule deer, elk, moose, caribou, bear, fox, coyote, as well as many African pieces including a 15-foot crocodile. 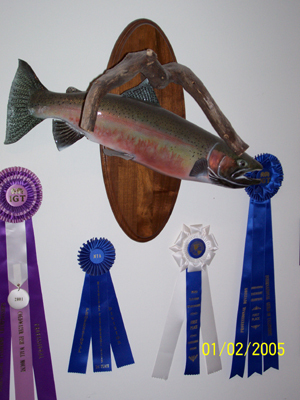 As a result of further schooling, his deer head mount (pictured below) in 1991 won 1st place honors in the Masters Division and Best of Category at the Michigan Competition and 1st place honors in the Masters Division at the International Competition. 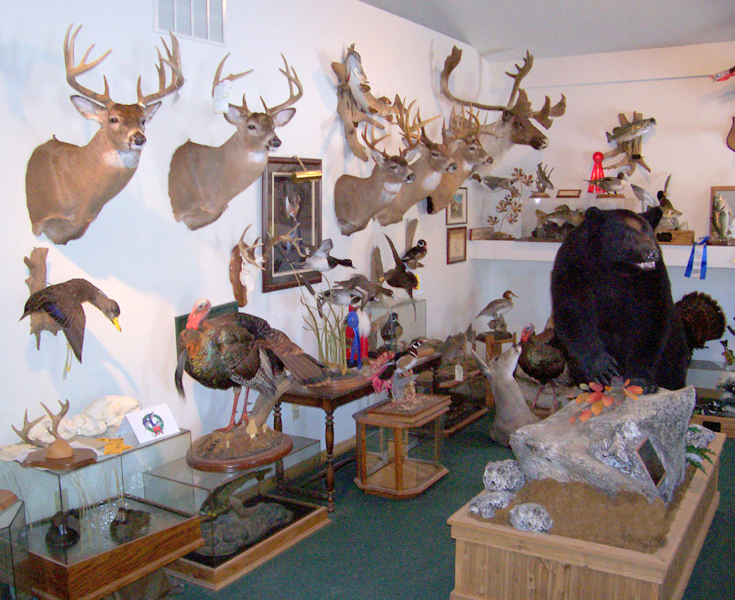 Both father and son have been long-standing members of the Michigan Taxidermy Association (MTA), since 1983, an organization that promotes the art of taxidermy across the State of Michigan. 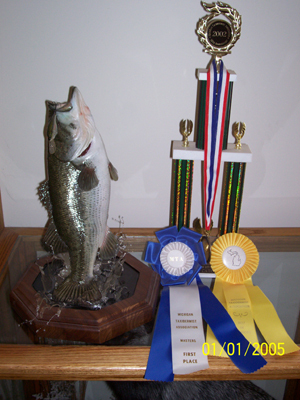 Jim was one of the founding members and had competed in the state competition for 23-years- straight, winning numerous awards in both State and national competitions. Jim served several years as a board member and Joel served as a board member, vice president and competition chairman, covering a 9-year period. 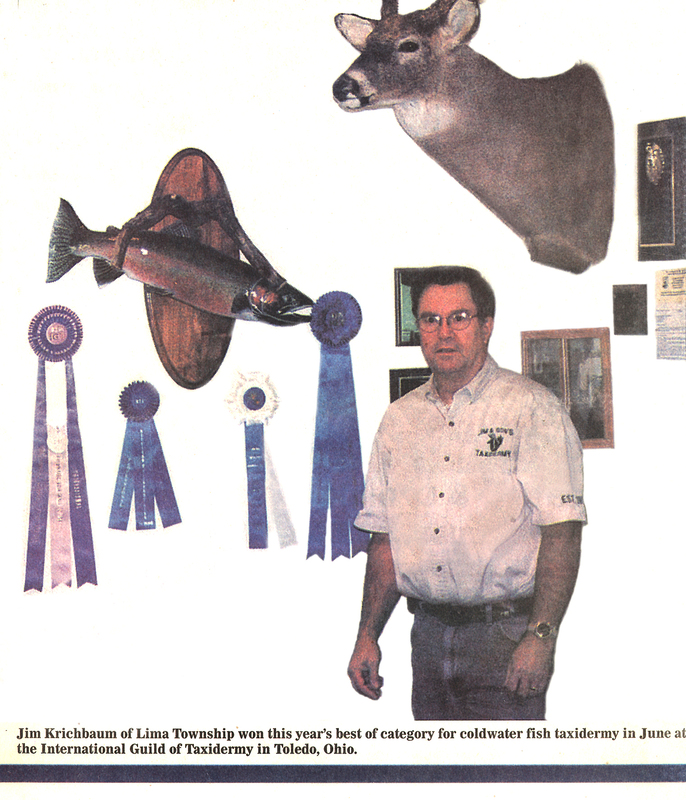 Jim and Joel's success in the taxidermy business has been a result of their expertise, fine craftsmanship, pride in their work, and the relationships they have built with their clientele over their many years of serving communities, near and far. 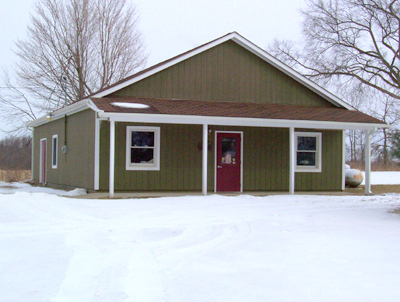 Much of their business base is word-of-mouth and repeat clients. As a result of a growing business, the location was moved to a brand new, state-of-the art facility which they built in 1995, which encompasses a beautiful studio to showcase their work, as well as a nice work area to produce their customer mounts. 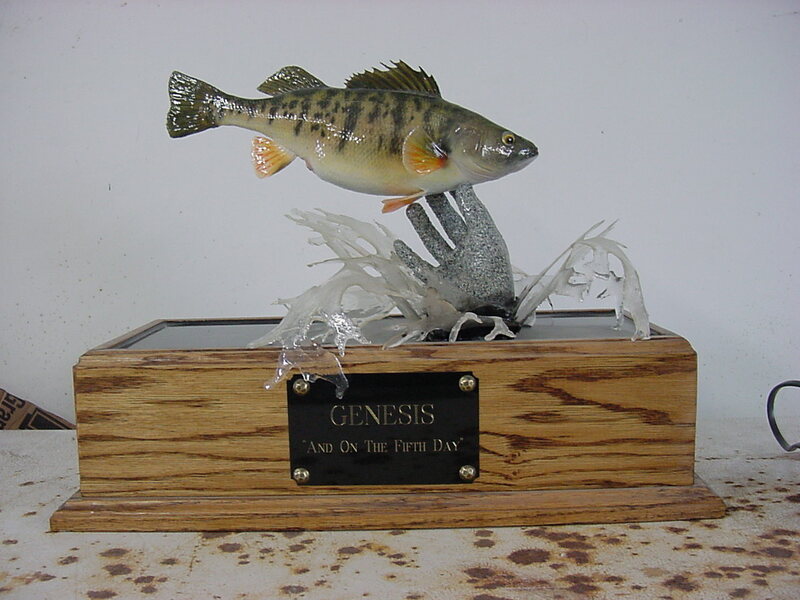 During the past two years, Joel has taken over the business side of the Jim & Son's Taxidermy, continuing to create taxidermy art with his father alongside him. 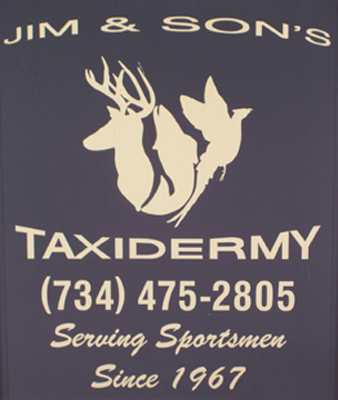 We hope you've enjoyed this overview of Jim & Son's Taxidermy, and we look forward to serving you soon. 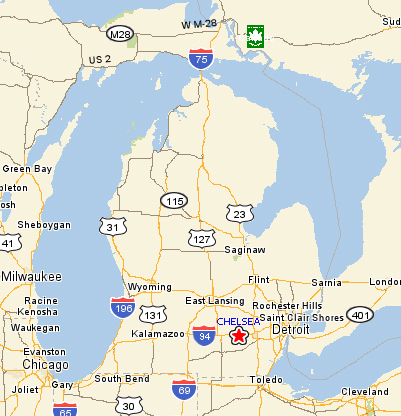 Please call or stop by to see our studio. 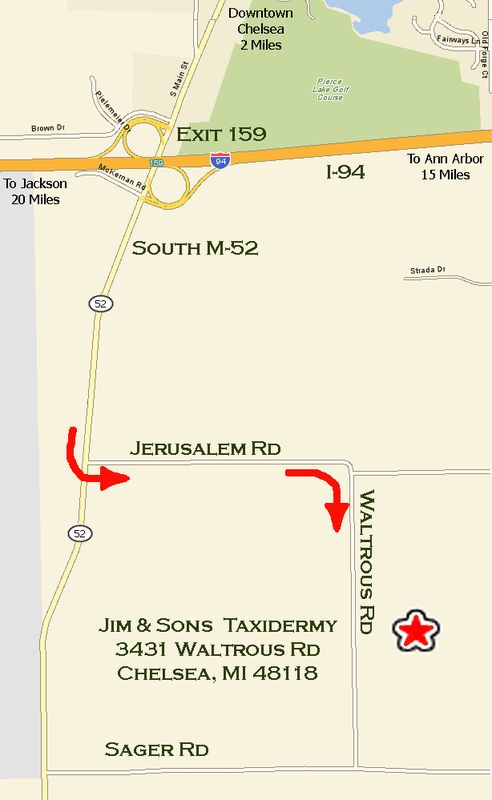 follow curve onto Waltrous Road. Shop is about 1/2 mile on left.